How to connect Cumulus to YoWindow? YoWindow can read the weather from Cumulus through a file, composed in a special format - YoWindow weather file (yowindow.xml). You need to set up Cumulus to generate yowindow.xml using a template. 1. Make sure you are using the latest version of Cumulus. You can download Cumulus here. 2. Click on this link to yo_cumulus.txt and save a copy of it somewhere on your computer. 3. Open that file in notepad and read the comments at the top of the file. If you have no solar/UV sensors or are not manually inputting snow, remove those sections and save the file. 4. Set up yowindow.xml generation. Enter the path to the template file yo_cumulus.txt in the left column. Enter the path to the generated yowindow.xml file in the right column. Be careful, do NOT check FTP mark. yowindow.xml will be generated every "Realtime interval" seconds in C:\data folder. You can open yowindow.xml it in any text editor (Notepad for example) to look at its contents. 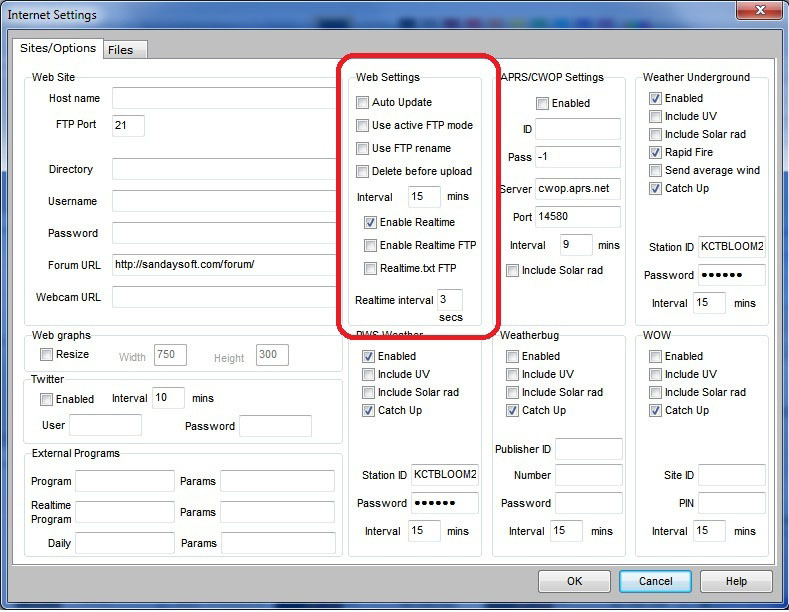 Here we will explain how to set up YoWindow weather widget for your webpage and connect it to your Cumulus generated data. IMPORTANT: Make sure you have an access to your website ROOT directory. If you don't - you will not be able to connect Cumulus and YoWindow widget. 1. 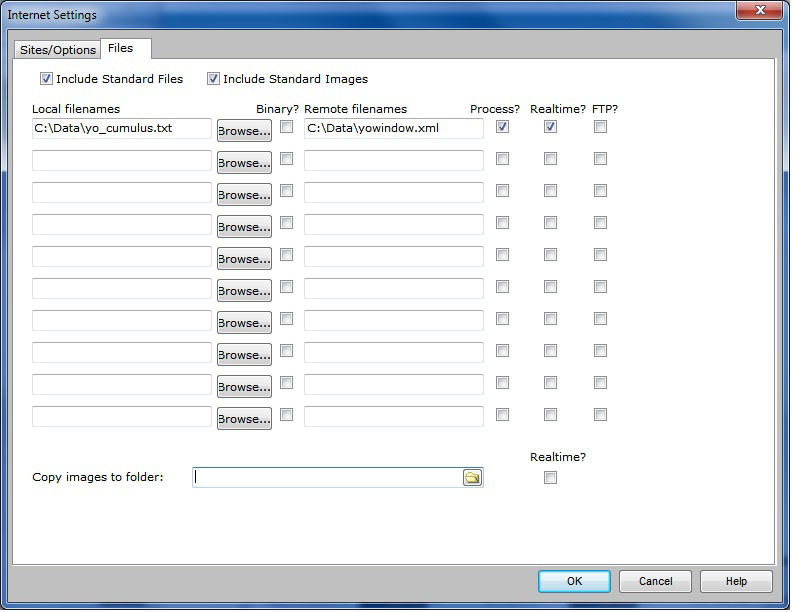 Set up Cumulus to upload yowindow.xml to your webserver.